What is Hot Work and Do I Need a Permit? Hot work can create significant hazards that put workers, those around them, and the premises itself in danger. In particular, it can pose a major fire risk. 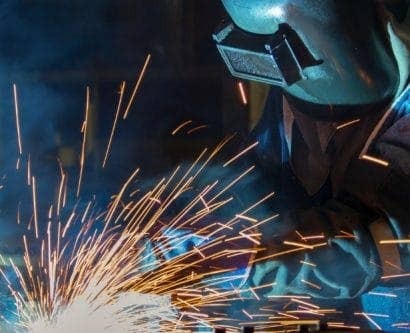 A stray spark from certain hot work, such as welding or soldering, can easily ignite combustible materials and cause serious harm to the building and people involved. Therefore, your workplace must establish a suitably-tailored safe working system for hot work before people carry it out. More specifically, it will need to prepare a permit to work. To create a permit for hot work, you must understand the risks that it poses and what control measures are necessary for mitigating these risks. This is crucial, as the safety precautions for hot work require consistent application and proper training. A permit for hot work ensures that everyone fully understands their responsibilities and that the work does not proceed without proper authorisation and safe systems in place. 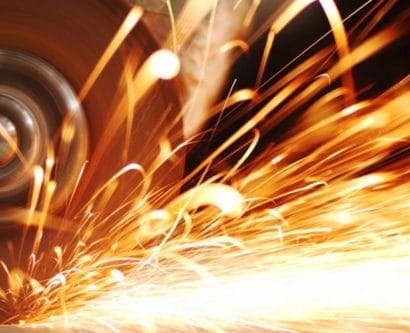 Hot work refers to any work that requires using open flames, applying heat or friction, or may generate sparks or heat. The use of open flames, blow-lamps, and torches. Using bitumen and tar boilers. The use of hot air blowers and lead heaters. This is not an exhaustive list, but it does include the most common examples of hot work and those that can pose significant risks without proper safety precautions. A variety of industries may require hot work in their premises as part of routine work activities, though it is also frequently carried out as part of contractual work. However, no matter who carries it out, they must know what kind of hazards hot work presents and how to prevent them from causing harm. Hot work can present numerous types of hazards to workers and the environment around them. 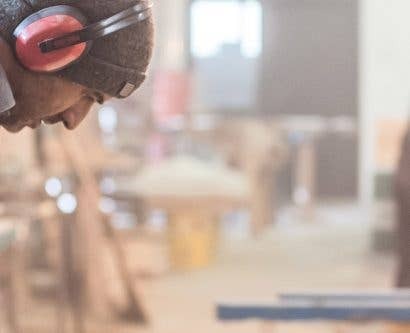 For example, hot work can harm people by causing burns, entrapment, illness due to fumes, eye damage from debris, or hearing loss due to noise. However, the most common and significant risk of hot work is fire. All types of hot work can easily start a fire without proper safety procedures. Flying sparks. This is the main risk posed by hot work. Sparks can easily get trapped in cracks, pipes, gaps, holes, and other small openings, where it will potentially smoulder and start a fire. Flammable swarf, molten metals, slag, cinder, and filings. The debris and residue that hot work creates are often highly combustible and/or hot. Heat conduction when working on pipes. Hot work can cause a pipe to heat up substantially and this heat can easily transfer through the process of conduction to another, potentially flammable surface and cause a fire. Hot surfaces. If you don’t properly remove flammable materials or substances from the area before work, they could come into contact with a surface that has become hot during the work and easily start a fire. Explosive atmospheres. In certain environments, there may be vapours or gases in the air that are highly combustible and could ignite when exposed to hot work. Similarly, the hot work could generate fumes that create an explosive atmosphere. The consequences of these hazards can be severe and costly for any business. Injuries can result in workers taking time off work, while a serious fire could damage the building irreparably. Both of these could even lead to legal consequences under certain circumstances. Therefore, it’s crucial to understand how to implement appropriate safety controls. Due to the high-risk nature of hot work, the BS 9999 and the Health and Safety Executive outline various safety procedures that organisations must follow. These all help to protect workers from dangerous aspects of hot work and to prevent fires from starting. Below are 8 examples of control measures that will help you make your hot work safer. BS 9999 states that “hot work should only be undertaken if no satisfactory alternative method is feasible.” Therefore, you should consider every possible alternative for completing a task before deciding to proceed with hot work. For example, instead of welding, determine whether bolting is a suitable substitute. Likewise, to avoid torch cutting, you could use hand-held hydraulic shears instead. In some situations, hot work will be unavoidable. If this is the case, you must create a permit to work before proceeding. A permit is crucial, as it sets out the safety measures that everyone will follow to minimise the risks associated with the work. In order to fulfil this requirement, you must know how to create a permit to work. Details of the work. What type of hot work needs carrying out? Hazards and risks. What are the associated risks of the hot work? Precautions and procedures. What steps will you put in place and apply before and during the work? Personal protective equipment. Do people need to wear protective goggles, face masks, gloves, etc? Reference to isolation certificates. Does any nearby equipment need isolating before work can start? Authorisation and acceptance. This includes those involved in creating, implementing, and following the permit. Training and competence. Do people need any training before they can carry out the hot work? Handover procedures. If the people doing the work swap shifts, what procedure will your workplace follow to ensure they change over safely? Hand back and cancellation procedures. Once the work is completed or needs cancelling, who is in charge of managing this? 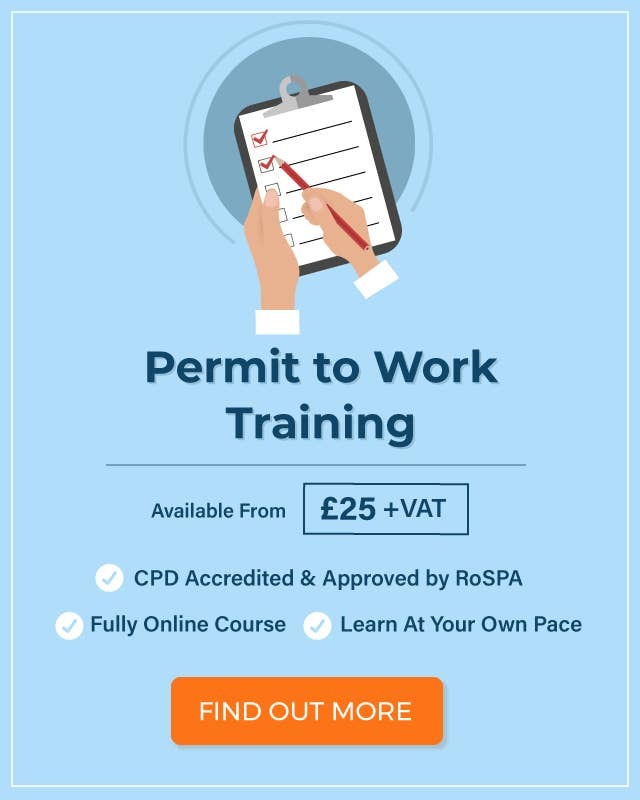 As long as you understand the tasks you’re undertaking and who’s involved, a permit is fairly straightforward to prepare. 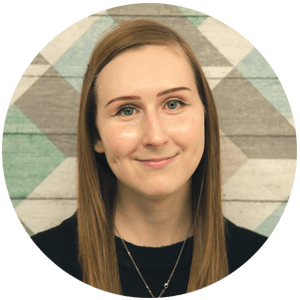 A competent person who isn’t directly involved in the hot work must prepare and authorise the plan, but the input and commitment from everyone taking part in the work is still necessary. 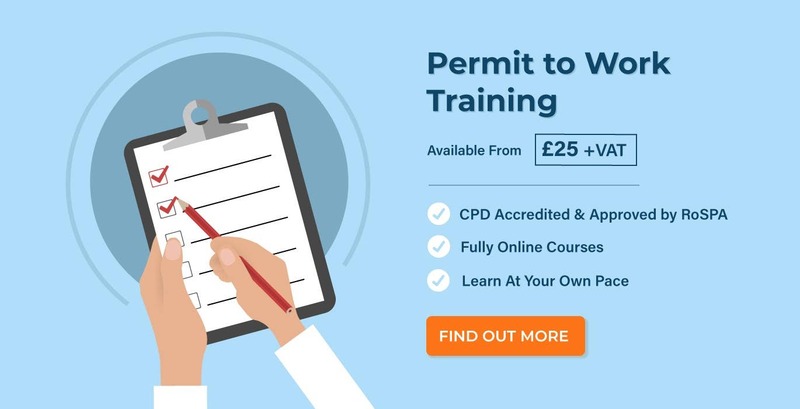 If you want to learn more about how to create a permit to work, consider taking a dedicated permit to work training course. One of the most crucial ways to prevent fire hazards posed by hot work is by clearing the area before starting. This involves removing flammable and combustible materials and liquids within a 5-metre radius of the work. If overhead hot work needs carrying out, then you may need to extend this radius. You must also ensure that the atmosphere does not contain flammable or explosive vapours, gas, or dust. If you suspect this may be an issue, then you should carry out gas or vapour monitoring. Hot work often produces sparks that can easily get into holes or gaps in floors, walls, and ceilings, or smoulder on combustible materials. Therefore, you must cover these areas with suitable flameproof sheeting, purpose-made blankets, drapes, or screens before commencing work. You can also cover a combustible floor with damp sand to prevent ignition if you prefer. Where you’re unable to fully clear the area of combustible materials, you can use appropriate flameproof covers on them. If you do, make sure you cover them completely and monitor the area closely. It’s vital that hot work takes place in an area designed specifically for it, but some areas will understandably not be specifically built for hot work. For example, if a contractor needs to carry out welding work on a pipe in a staff room kitchen, this isn’t an area of the building specifically designed to minimise hot work risks. However, it’s perfectly possible to assess an area and prepare it for hot work, such as by applying protective covers as discussed above. This applies equally to five-minute jobs just as much as it does to a task that takes longer. In these circumstances, it may be necessary to issue warnings or erect barriers to indicate that the area is inaccessible to others during the work. Those carrying out and supervising hot work must understand the fire safety procedures that are in place. Whether the area has a sprinkler system and whether or not it’s active. How to activate the alarm, where to evacuate during an emergency, and how to contact assistance or the fire authorities. How to prevent false alarms. Do certain detectors need temporarily deactivating? If so, these must be reactivated as soon as the work finishes. Which fire extinguishers are necessary. At the very least, the person in charge of supervising should receive fire extinguisher training. Furthermore, the site should have at least two appropriate extinguishers available, based on the type of hot work you’re carrying out. Once you finish hot work activities, you must properly deal with the materials you used. Fully extinguish LPG blowlamps and torches and allow them to cool after use. Remember to also let them cool down before you change cylinders, and to fully remove the gas cylinders upon completion of the work. Properly switch off, unplug, and cool down electrically-powered hot air blowers before you return them to storage. Submerge stub ends of welding rods in water before you safely and appropriately remove and dispose of them from the site. Clear up the area if the hot work produced flammable materials, such as metal filings. Appropriate supervision of hot work is beneficial for monitoring safe working practices, but is primarily necessary for checking the environment afterwards. A fire watch must remain within the area for at least an hour after the work finishes to ensure a fire doesn’t start. This is crucial, as it’s difficult to see a spark that has gone down a hole until it starts smouldering. A fire watch can be anyone who is responsible and aware of the risks, such as a supervisor or someone who was involved in the work. They must have received fire extinguisher training and should monitor the main area where the work occurred, as well as any adjacent rooms and the floors immediately below and above it. Doing so ensures they’re prepared to immediately suppress any smouldering or fires and prevent an emergency. Although hot work can present significant risks, if you follow all the appropriate controls as set out in your hot work permit, you’ll keep these risks to a safe minimum and complete the work without any issues.